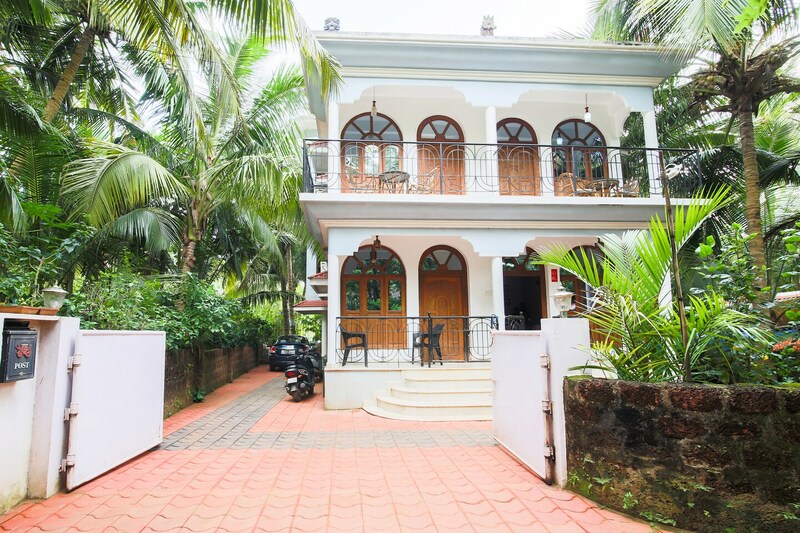 Pande Residency is located close to Rajbagh Beach, Goa. Patnem Beach, Palolem Beach, Sai Baba Mandir and Saraswati Temple located in the close vicinity of the hotel. The hotel gives quite a homely feel to the guests with cleanly maintained surroundings. The rooms feature wooden furnishings with bright colored decor. The washrooms are neatly lined with white or designed tiles. The amenities that the hotel offers include free Wi-Fi, king sized bed, AC, power backup, parking facility, TV, card payment facility, laundry and CCTV cameras. Restaurant Leopard Valley, Fishermans Wharf, Bay 15 and Butter Pub are located close to the hotel which can be visited by taking a short ride.